When Independence saw its hospital close in the fall of 2015, it exemplified the challenges facing rural health care in a state that has not expanded its Medicaid program. But when it came to meeting the medical needs of residents, the community found a way to not just survive but thrive. The process has been contentious and chaotic at times. 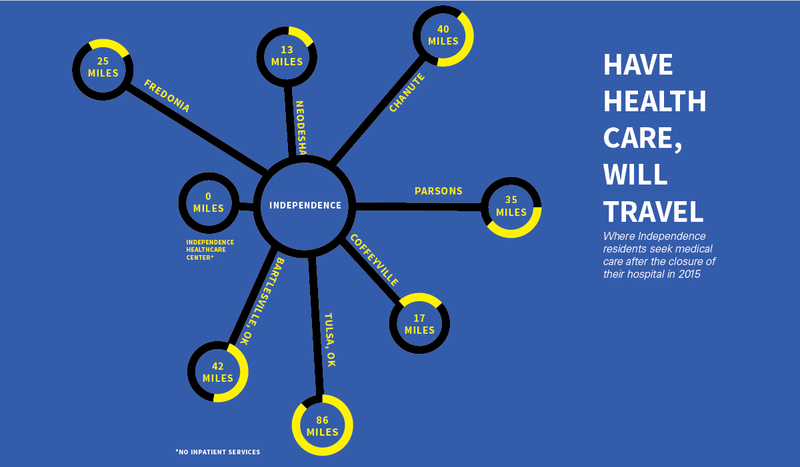 Rather than closing the book on the state’s ongoing Medicaid expansion debate, the Independence story opens it wider. David Cowan leads a reporter upstairs to the old intensive care unit, now the city’s administrative offices. The emergency medical services director passes an empty nurses station and an antique map of the city waiting to be hung. He enters a former patient room, where a gleaming cherry-colored conference table has replaced the electric bed. Privacy curtains still dangle next to an array of colorful ports and outlets, paraphernalia from a past life. Now the city has a shiny, year-old emergency room across town, courtesy of a ninth-inning save by Labette Health in nearby Parsons. Called the Independence Healthcare Center, it is less a hospital, more the life support of rural health care, according to advocates. The story of how Independence recovered after the death of its hospital is a long, contentious and chaotic one. It’s been costly, with local governments and donors investing more than $2 million and health care providers another $7 million to fill the void left by one hospital. And it’s been demanding, with volunteers logging thousands more miles transporting seniors around the region for care since the hospital closed. It’s also a story that continues to be deeply linked to the Legislature’s ongoing debate around expanding health coverage for 150,000 low-income Kansans through Medicaid. And the continued pressures facing rural hospitals in communities across Kansas, such as Fort Scott, which recently saw its hospital announce that it was closing at the end of the year. Pull up a rolly chair and get comfortable. The city’s occupancy of the Mercy building has kept wounds open, acknowledges Cowan, who has held his position for 22 years. In August 2016, mold at the century-old City Hall sickened workers, prompting officials to evacuate. While they decide their next steps, memories of the hospital’s 2015 closure remain fresh. 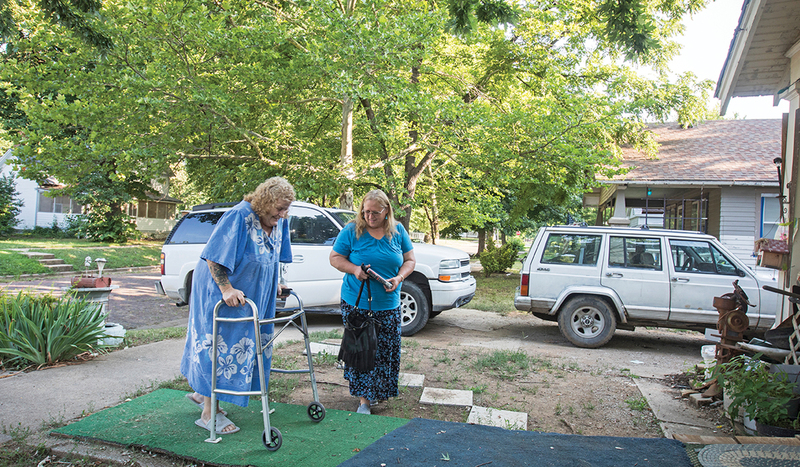 Residents still talk about getting only a month’s notice before Independence became the largest Kansas town without an emergency room. For the most part, acquisition talks with nearby hospitals had been kept quiet until they failed. Suddenly, basic questions no longer had obvious answers: Where do I go if I have heart problems? What if I break my leg? Get cancer? Need lab work? What if I’m eight and a half months pregnant and need to give birth? “You didn’t know what to do,” says Dana Hart, a former local pastor. That burden fell on Independence EMS. “That’s daunting to realize that you have 10,000 people that you’re responsible for,” Cowan says. After Independence’s hospital closed, more ambulances and staff were needed because emergency runs became longer and more time consuming. Here the town’s emergency medical services director, David Cowan, organizes one of the new ambulances. Those 10,000 people included not only Independence, but several hundred others who lived throughout the northern half of Montgomery County. EMS staff scrambled to keep up. Here is what happens when your hospital closes and there’s no emergency room in town to transport patients: The transition unfolds chaotically. Finding regional providers to fill in the gaps is possible, but filling every hole left by the absence of a hospital is difficult, if not impossible, to do on the fly. It sets up a scramble. Responders who were used to running patients a few minutes across town suddenly had to take them across the county or the state line to see a medical practitioner. Even trips to the closest hospitals – Wilson Medical Center 13 miles north and Coffeyville Regional Medical Center 17 miles south – became hourlong jobs, considering the time needed for in-home assessments and starting IVs. Multiply that times 2,600 calls per year. “If we have a fire and two EMS calls, we’re taxed,” says Shawn Wallis, Independence’s fire and EMS chief. A single code blue requiring five EMS staff, with potentially three hours on the road to and from a large hospital, would leave Independence vulnerable. Indy EMS needed more ambulances and staff – fast. In response, the city hired three more people and bumped up staffing for each shift. It spent $380,000 on two new ambulances and equipment upgrades. Each ambulance had to function as a mobile emergency room with a ventilator, IV pump and 12-lead heart monitor that fed data directly to hospitals. As for code blues? Two new $15,000 AutoPulse CPR machines freed two sets of hands during cardiac transports, requiring three people instead of five, Cowan says. Overall, eliminating pit stops at the local hospital helped critically ill patients. “We’ve had nine cardiac saves in the last year,” Cowan says. The first four weeks after Mercy’s closure became a blur of meetings. Cowan and the city’s attorneys had to rewrite transport protocols, but they didn’t default to the nearest hospital. They decided that in less emergent cases, patients could choose their destinations. 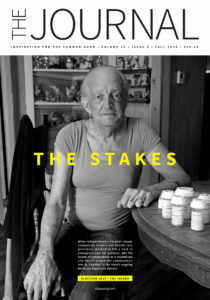 “People want to go where their doctors are,” Cowan says. Most of those doctors were spread among Neodesha to the north, Parsons to the east, and Coffeyville or Bartlesville, Oklahoma, to the south. Still, Independence residents wanted an emergency room at home. Even though health care deals in human lives, emergency departments can’t survive without money. Up to 27 percent of emergency room visits aren’t true emergencies, according to one 2010 study. In other words, only a fraction require overnight stays, says state Rep. Jim Kelly, an Independence Republican and health care advocate. Of those rural residents who become inpatients, many get transferred to hospitals in other towns. Kelly served for years on the Mercy Hospital board and was appointed to a transition team called the Independence Healthcare Committee that the City Commission created when it offered $3 million in bonds to Coffeyville Regional Medical Center if it would take over the hospital and emergency services. But when those negotiations fell through, the committee, whose members also included the city manager, city attorney and a city commissioner, became charged with figuring out how Independence would provide for the care of its residents without a hospital. They immediately found a disconnect between what nearby providers were willing to offer and what the community felt it needed most. Over and over, hospitals that the Healthcare Committee approached concluded that opening a small-town emergency room was too dicey an investment. “It’s been very rough on the community as a whole,” Cowan says. In the meantime, Mercy handed over its Independence assets in October 2015 to the city, which then leased the clinic and rehab center to another regional health care provider, the St. John Health System. St. John operates the Jane Phillips Medical Center in Bartlesville, a small city 45 minutes south where some Independence residents already sought specialist care. Most of the providers affiliated with Mercy found new jobs amid the uncertainty, says Rita Taylor, office manager of the renamed St. John Clinic. When Mercy pulled out of the clinic shortly after closing the hospital, ownership transitioned almost immediately. Even though the emergency room was missing, there was still access to urgent care, Taylor says. Despite keeping the clinic, some patients preferred neighboring hospitals. Struggling with their own declining revenues, those hospitals recognized that they could snag an even greater piece of the Independence revenue pie if they established a presence within the city limits. In flowed the requests for city permits. Around the time St. John Clinic reopened, Labette Health out of Parsons – 35 miles east of Independence – expanded services at a small clinic downtown, offering express care. Then Coffeyville Regional Medical Center opened a new clinic. This, too, was located downtown, with pediatrics, obstetrics and gynecology in addition to primary care and diagnostic testing. The clinic eventually added orthopedic care. Wilson Medical Center already had an Independence location, but within 10 months of Mercy’s closure, it converted a former restaurant building into an expanded clinic staffed by two advanced practice registered nurses. “It’s almost that they’ve filled in the gaps where one hospital might have done it,” says Trisha Purdon, executive director of the Montgomery County Action Council, an economic development agency based in Independence. Still, the emergency room gap lingered. The path toward filling it would begin in another southeast Kansas community, Parsons. But it would take some convincing of skeptics from multiple quarters. Let’s rewind to Sept. 1, 2015 – Brian Williams’ first day as CEO of Labette Health, five weeks before Mercy closed. Williams spent his early adulthood in the Army as an infantry officer. He had experience in strategic planning as a former vice president in the CoxHealth system, based in Springfield, Missouri. As he moved into his new Parsons office, he paid attention to the takeover talks in Independence. Plenty of Labette’s patients came from Independence, many seeking orthopedic care. On Sept. 4, the day after months of talks with Coffeyville Regional Medical Center crumbled, Williams saw an opportunity. Four days into his new job, he asked members of the Independence Healthcare Committee what they needed. An emergency room, they said. And a clinic. Some overnight beds, an outpatient surgical center and a few inpatient beds. Williams told them he thought Labette Health could meet most of their wishes in phases. “I just think we live in the greatest country in the world, and sometimes you just stand up for what’s right,” he says. Imagine you’re the Labette Health board. Your brand-new CEO wants to do what a $5 billion health system couldn’t. To say the board gave pushback – “That’s an understatement,” Williams says. “How is some little hospital in Parsons, Kansas, going to make it work?” Williams says. After talking with his board and Labette County officials, catching one county commissioner on his combine, Williams did not want to resurrect what had already failed. Hospitals were transitioning to more outpatient care. He saw no need to re-create a comparative behemoth like the old hospital’s 84,000 square feet and 41 beds. Instead, Williams and his board came up with a 17,000-square-foot compromise. The proposed Independence Healthcare Center would feature an emergency room, helipad and three observation beds that could accommodate patients for up to 36 hours. The building’s other half would hold a rural health clinic staffed by Labette Hospital, plus radiology, a lab and a cancer infusion center. The city of Independence wasn’t ready to compromise. While city commissioners wrestled with the conditions of Mercy’s transfer, they initially declined to consider the alternative Williams introduced at an October 2015 meeting. Kelly and the Independence Healthcare Committee were convinced that the best option for the city was to work with the Bartlesville hospital, even if an emergency room wasn’t on the table anymore. Patients already traveled from Independence to Bartlesville, they reasoned. The details of Mercy’s departure were painful for the community’s residents. At one point, the company sought $2.2 million in tax subsidies from the city. When city officials rejected that deal, Mercy closed. Instead of transferring ownership to another health company, Mercy wound up donating $500,000 to the city for taking the hospital off its hands and spent an additional $1.4 million to demolish about half of the building. Williams still thought he could help and moved forward with securing a loan and purchasing land without the city’s money. 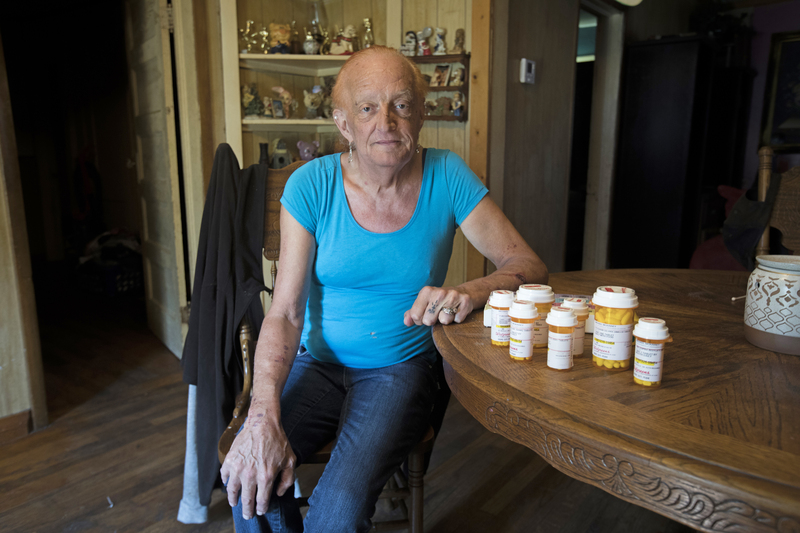 Although there were complications among the providers trying to fill the gap left by the hospital’s closure, including an ongoing lawsuit, Williams has emerged as one of the situation’s heroes thus far. He received a standing ovation when he announced plans for the Independence Healthcare Center to the public. A year after Mercy’s closure, about 300 people attended the groundbreaking. The community feted the forthcoming ER with a row of 20 golden shovels, a bounce house and balloons. Donations of as much as $50,000 poured in. Enthusiasm rippled into the business sector. Some of the area’s largest industries restarted expansion plans they had paused during the year of uncertainty, says Purdon, the economic development agency director. “Almost on the heels of the ER announcement,” Purdon says, Textron Aviation promised to add 70 jobs to its Independence plant, which builds single-engine piston-powered Cessnas, among other styles. And Standard Motor Products, an auto parts company, announced in January 2017 that it would move its Orlando, Florida, electronics design and manufacturing unit to an existing Independence facility, bringing with it 35 jobs. “Independence took this tragedy that happened to the community and really rallied together,” Purdon says. With Independence grappling with the loss of its hospital, CEO Brian Williams and the board of Labette Health rode to the rescue, The 17,000-square-foot Independence Healthcare Center features an emergency room, helipad and three observation beds. Local governmental bodies eventually came on board during Labette’s final fundraising push. With $200,000 from the city of Independence, $100,000 from Montgomery County and more than $1 million in donations and pledges, the local investment reached $1.7 million. In return, Williams pledged at an April 2017 meeting that many of the employees would live in Independence or Montgomery County. Eight months after breaking ground, Labette Health’s Independence Healthcare Center opened on July 4, 2017 – Independence Day. People like Michelle McKinney breathed a sigh of relief. As she strolled downtown recently, the Independence resident of 28 years recalled the care she’s received while suffering multiple heart attacks and episodes with her chronic obstructive pulmonary disease. Each time, ambulances have taken McKinney to Labette Health’s ER, where she’s been stabilized before moving on to regional hospitals that could accommodate her for more than 24 hours. Between hospital stays, she’s been able to see visiting heart and lung specialists at the St. John Clinic, she says. Since opening, Labette Health’s emergency room has averaged more than 500 visits per month. The rural health clinic has seen more than 1,000 patients a month. Both figures came in better than expected, Williams says. “We’re at the point now where we could probably expand the clinic and add a surgical center,” he says. But it’s not smooth sailing. 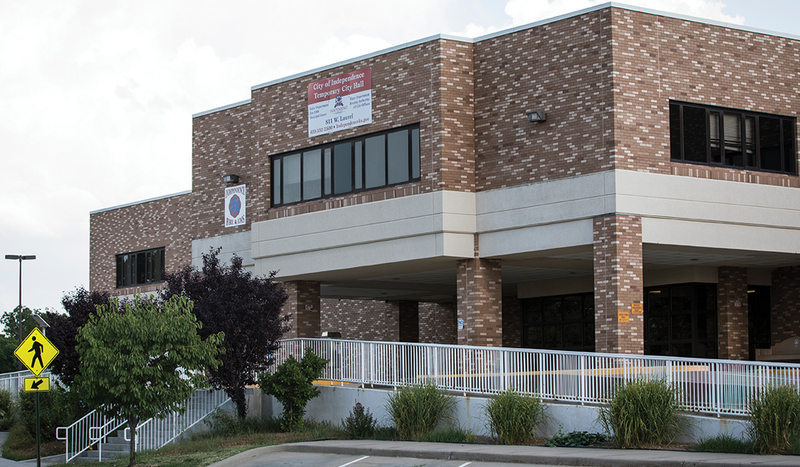 Revenue has been enough to keep the facility in the black, but at only half the budgeted amount – $500,000 as of June. “It’s a fight right now for hospitals to survive,” Williams says. Longtime Independence resident Michelle McKinney has had multiple health episodes that have required trips to Labette Health’s emergency room, where she’s been stabilized before being moved to regional hospitals. And here is where the debate over Medicaid expansion re-enters the picture. Expanding Medicaid in Kansas would help Independence complete its transition, Williams says. Based on 2015 projections by the Kansas Hospital Association and the Kansas Department of Health and Environment, Williams says that expansion of Kansas’ privatized Medicaid program, KanCare, would inject $2.3 million to $3.4 million into the Labette Health system of several clinics and a hospital. But the issue has been a contentious one between the Legislature and the governor’s office. Lawmakers may revisit the matter next session, says Kelly, a member of the House Health and Human Services Committee. In 2017, Kelly leveraged his experience in Independence to push for extending Medicaid to 150,000 more Kansans. The bipartisan effort to expand KanCare and cover the working poor surprisingly passed both chambers in March 2017. Then-Gov. Sam Brownback vetoed the bill. The House’s attempt to override garnered 81 votes – three votes short of the two-thirds majority needed to make the proposal law. Kansas remains one of 17 states that have not allowed the Medicaid expansion permitted by the Affordable Care Act, which promises that the federal government will cover at least 90 percent of the cost. Kansas’ share of expansion, after 2020, would total an estimated $27 million. A ticker on the Kansas Hospital Association website shows the amount of federal dollars Kansas has passed up since 2014: more than $2.7 billion and growing. Kansas voters want that money, according to a 2016 statewide survey by the American Cancer Society Cancer Action Network. Eighty-two percent of those polled said they favored expanding Medicaid. But conservative Republicans, long opposed to the sweeping changes wrought by President Barack Obama’s Affordable Care Act that Congress has worked to rollback, want no part of the expansion. Opponents fear that Kansas’ share of the cost is an underestimate but the state hospital association contends the opposite: that new revenue combined with drug rebates and other “savings opportunities” could offset the expense with a net savings for the state of more than $106 million in 2019. That’s looking ahead. Looking back, some locals say Medicaid expansion might have kept the hospital afloat by persuading Coffeyville Regional Medical Center to take over Mercy. As it was, a feasibility study commissioned by Coffeyville Regional suggested that it couldn’t make an emergency room financially viable in Independence, Kelly says. “If they would have had Medicaid expansion, they probably could have done it,” says Purdon, who served as Coffeyville’s assistant city manager during the 2015 negotiations. That’s easy to say now, but Medicaid reimbursements weren’t the only factor in Mercy’s demise, according to Kelly, Cowan and others familiar with the details. They believe the hospital’s decline started in 2011, when an EF5 tornado ravaged the Mercy system’s Joplin hospital. “After the tornado, everything changed,” says Cowan, the EMS director. 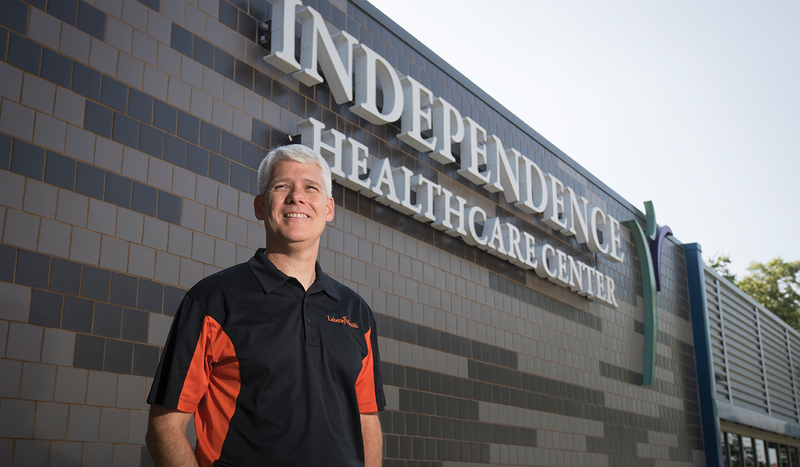 The Independence location had just bought land to expand outpatient services. Suddenly, it seemed the system of more than 30 hospitals across four states had new priorities. Layoffs in Independence began in 2014, Cowan says. He perceives the layoffs as a shift in resources to free up $435 million for the Joplin hospital’s 2015 reopening. “Independence, being on the fringe, probably suffered,” Kelly says. Mercy’s version of the story, however, doesn’t include Joplin. More money from Medicaid reimbursements would have slowed the bleeding, Kelly believes. He hopes that this fall’s election will flip a few votes and bulletproof the Legislature’s next attempt to expand Medicaid, no matter who becomes governor. Without an overarching expansion, health care advocates approached Medicaid piecemeal. 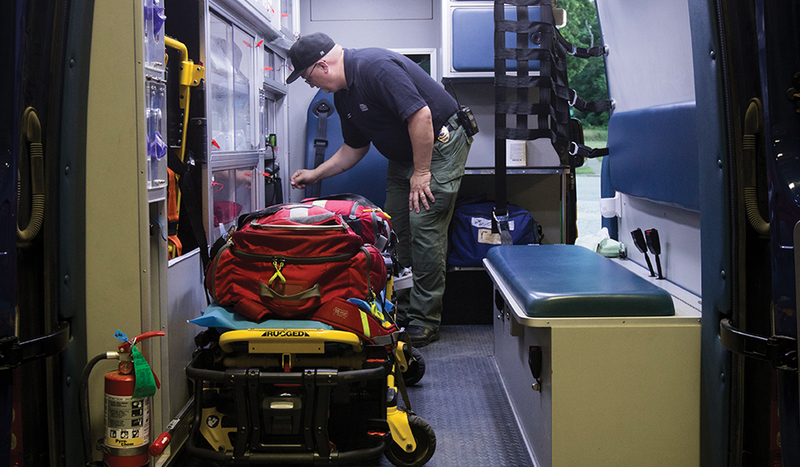 Cowan and his colleagues in rural emergency services across the state successfully lobbied the Legislature for a 20 percent increase in Medicaid reimbursements for out-of-town ambulance transports. Brownback signed the bill in July 2017. Dana Hart, right, is one of 10 volunteers who provide transportation for patients in Independence who are older than 60 and aren’t on Medicaid. Hart sometimes drives three days a week, helping residents such as Anna Eytchsen. With rural hospitals increasingly facing more and more financial pressure, Independence’s experience raises questions about whether it’s a new model for providing quality care in a shifting health care landscape. Because it lacks inpatient beds, Labette’s Independence Healthcare Center doesn’t qualify as a traditional hospital. Instead, it represents what could evolve into a shift away from the “critical access hospital” designation, which was contained in a 1997 federal law designed to boost the finances of rural hospitals. Kansas has 84 critical access hospitals – more than any other state – that have 25 or fewer beds. Mercy was not a critical access hospital. The designation isn’t obsolete for everybody, but “the numbers just don’t work” for many markets, says Jennifer Findley, a Kansas Hospital Association spokeswoman. More and more services are being offered on an outpatient basis. “You struggle to keep your doors open because you don’t have the revenue coming in,” Findley says. Since 2013, the hospital association has been developing a model similar to Labette Health’s example of fill-in-the-gap health care that may become commonplace. A “primary health center” would provide an access point to physician services and 24-hour emergency care, Findley says. If, say, an elderly patient who lived alone came in with the flu, the facility could keep her a few hours until she rehydrated and stabilized. Stabilizing the revenue would be the biggest challenge, Findley says. “Small populations don’t get the volume to generate enough revenue,” she says. The association’s model is designed to financially survive amid shrinking communities and changing demographics, Findley says. Primary health centers would be funded through renewable grants, community support, and value and quality incentives. The combination would pay for emergency and outpatient services as well as beefed-up transportation to larger facilities with beds. The concept has piqued the interest of health officials in neighboring states. Advocates from Colorado, New Mexico and Oklahoma have reached out to the association and collaborated on the idea, she says. The primary health center “doesn’t exist yet,” Findley says, and won’t until the association secures grants to build a demonstration project. The concept also needs approval from the Centers for Medicaid and Medicare Services. The hospital association’s brainchild assumes that many emergency patients can be treated and released. Those who need more involved, longer-term care would be transferred, Findley says. Independence residents have experience with that. They say such transfers have given rise to another problem that is requiring volunteers to fill a gap. In an odd twist, the former Mercy Hospital, which became the focus of a community’s angst and anger when its closing was announced, is temporarily the home of Independence’s city offices. It was put back into service when mold made City Hall uninhabitable. Montgomery County has high concentrations of elderly and poor residents, with 20 percent of them over age 65 and 19 percent living below the poverty line, according to census data. Many residents lack either family members nearby or relatives with reliable transportation, says Dana Hart, the former pastor. She has a story. In the midst of a February ice storm, Hart received a 2 a.m. call from a woman in her congregation. The woman had accompanied a friend by ambulance to Bartlesville, where hospital staff had waved them on to Tulsa for the kind of care needed. By the time they arrived, visiting hours had ended, but the woman couldn’t afford a hotel. Hart called the supervisor. “Don’t toss this lady out in the cold, freezing rain,” she recalls saying. Hospital staff agreed to allow the woman to nap in the waiting room while she waited for Hart to make the hour-and-a-half trip. Other local pastors saw the same need. The ministerial association contacted Kathy Shepard, coordinator of the local Retired and Senior Volunteer Program administered through Senior Corps. Shepard already ran a transportation service for seniors but agreed to zero in on health care. As a result, volunteers nearly doubled their mileage the year after Mercy closed, logging about 35,000 miles between 2016 and 2017. The program’s 10 volunteers provide the only transportation service for Independence residents over 60 who don’t have Medicaid. Hart, who sometimes drives patients three times a week, regularly takes patients to Bartlesville, Tulsa, Joplin, Wichita and smaller, closer hospitals. Other volunteers deliver patients to Topeka, Kansas City and Oklahoma City. Many of the trips support scheduled specialist appointments. The need for such travel may soon diminish, because Gov. Jeff Colyer signed a telemedicine bill this spring. The new law allows increased access to telehealth and requires insurance companies to cover it. “That should open up some avenues, too,” Kelly says. In short, Independence residents have restored hope. Entrepreneurs are opening small businesses. Three clothing boutiques, a natural foods store, a sandwich shop and two new salons have added dozens of jobs, Purdon says. But recruiting new large businesses will remain a challenge, she acknowledges, as long as she has to leave the hospital box unchecked on recruitment forms. Many other rural communities face the same challenge. According to a study by Maine-based iVantage Health Analytics, 28 percent of Kansas’ rural hospitals were on the brink as recently as 2016. Some of them have called Cowan looking for advice. Be creative, Cowan says from his seat in the ICU unit-turned-conference room. So does Independence need a hospital with a capital H? “No,” Cowan says without hesitation. This entry was posted in Health and tagged closures, hospital, Medicaid expansion, rural health. Bookmark the permalink.